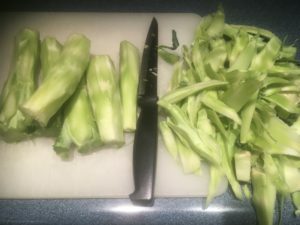 Cut away thick outer skin from broccoli stems and grate. Mix mayo, yogurt and lime juice. 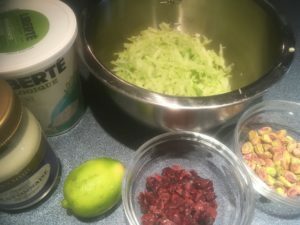 Mix all ingredients together in bowl, taste and add cayenne if using. 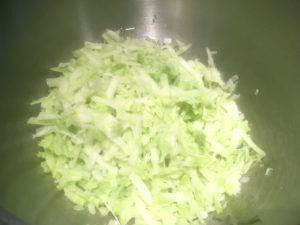 I love the taste of this salad, the lime juice really sets it off. 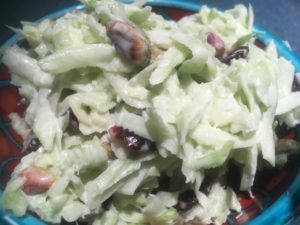 The crunch of the pistachios combined with the chewiness of the cranberries allows the mouth to really enjoy all the different textures that this recipe has. 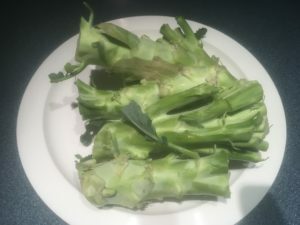 Before this recipe, all these broccoli stems would have been just put into the compost bin. I love that this recipe allows me to use these and enjoy the health benefits of broccoli.